Josh Toy has joined Essendon's VFL team for 2013. Essendon is excited to announce a number of key signings for the club's VFL team ahead of the 2013 season. Former AFL players Matthew Bate and Josh Toy headline nine signings for the VFL Bombers ahead of their first season as a stand-alone side. Bate joins the Bombers from the Melbourne Football Club where he played over 100 games at AFL level. "We are very excited to have Matthew on board for the 2013 season as we believe he has a lot to offer to our young side" VFL Operations Manager Matt Little said. "We expect Matt's experience at AFL level to help provide us with great leadership around the group this season." 20-year-old Toy joins Essendon after two seasons with the Gold Coast Suns and training with Richmond during the pre-season. "We are very fortunate to have Josh on board this season as he is not only a fantastic player and leader but, a great person," Little said. "Josh is an extremely polished player that will fulfil a number of roles for us during our inaugural season." Michael Sikora, Josh Freezer, Matthew Firmam, Dave Fahey, Jacob Thompson and Tim Knowles have also signed on for this season. Sikora has come from VFL club Sandringham Zebras and standing at 204cms tall will play a key role in the teams ruck division. 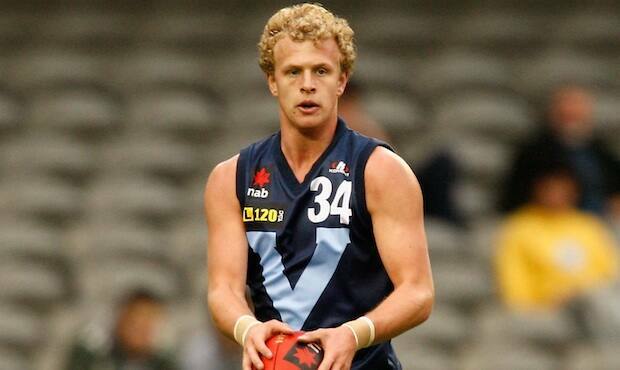 Freezer had a breakout season in 2012 for Bendigo and was close to being drafted after attending the state screening. He is expected to provide great versatility in the backline with the ability to play on both small and tall forwards using his elite foot skills to set up attack. Firman was co-captain with Troy Selwood in 2011 at Geelong and was a member of the 2007 Premiership side. A former rookie listed player at the Essendon Football Club, will bring a large amount of VFL experience and will be a great mentor to the young side. Dave Fahey is expected to bolster the sides key defensive stocks crossing from the Coburg Tigers. He stands at 194cm tall and has the ability to win the ball back with his elite marking skills. Thompson had a breakout season in 2012 for Bendigo kicking 15 goals from just 12 games. He has the ability to play in the midfield or as a forward and possesses outstanding leadership qualities. Tim Knowles joins Essendon from Mulgrave in the Eastern Football League and is a medium sized midfielder/forward that has an elite kick. These eight signings come following the announcement of Ben Duscher being the first player signed with the club's new stand-alone team.